In the 1950s, it was still possible for those wealthy enough to acquire a chassis from an OEM and send it off for a completely custom body to be built by one of the world’s famous coachbuilders. This process was usually reserved for the extremely wealthy, like the late Prince Aly Khan and his wife, actress Rita Hayworth. Hayworth and Kahn were split up when Kahn, in an attempt to win her back, had a custom white Cadillac built for her by famed Italian firm Ghia. It didn’t work, but Hayworth did get to keep the car, which would trade hands a few times before finding a home at the Petersen Automotive Museum in Los Angeles. The Ghia Cadillac was the second of two built, with the first car being painted in a tasteful shade of blue with white accents. The Petersen museum felt the entirely white car didn’t look right, and painted it in a dark burgundy shade when they restored it, which they felt complimented its lines better. 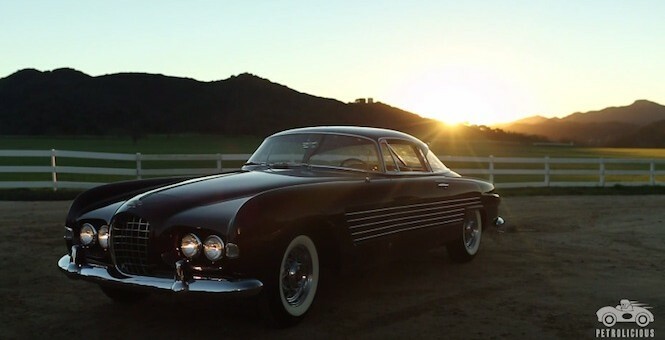 If you didn’t know about this rare coachbuilt Cadillac before, take some time out of your day to get familiar with it in the short video below from Petrolicious. Cars like this are what the Cadillac brand is all about, and we’d love to see a return to the glory days. I just don’t like the looks of this car, but it does looks nice though.